Perfect day in Wynwood, Miami. 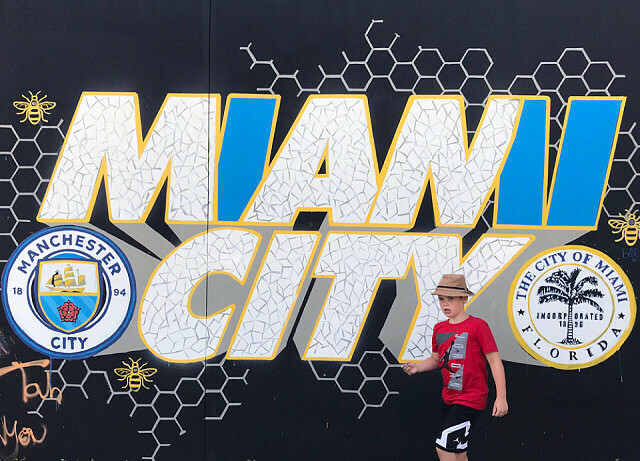 We eventually tracked down the Man City Miami mural. The taggers have already started to strike. So here’s my Boy retouching the artwork.